Hooking a PC up to a television used to be a pain. But now there’s a far easier way to see a lot of content from your PC on a TV: Use a Chromecast. Google’s $35 HDMI dongle is an affordable alternative to set-top boxes like Apple TV and Roku. 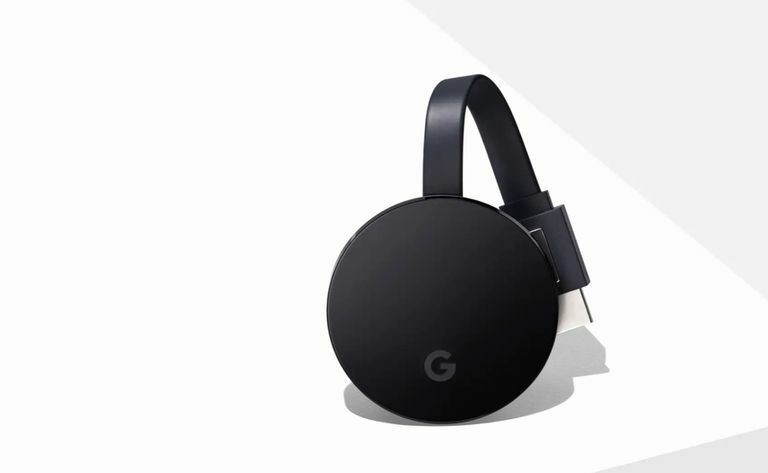 Primarily, the Chromecast allows you to view all kinds of content a TV including YouTube, Netflix, games, and Facebook videos all controlled from a mobile device. Before you do anything, it’s important to make sure both the Chromecast and your computer are on the same Wi-Fi network. Each PC has its various quirks for discovering which Wi-Fi network you’re on. In general, however, look for the Wi-Fi icon on your desktop (in Windows it’s on the lower right and in Mac the upper right). Click that icon and look for the name of the Wi-Fi network. To check the Chromecast, open the Google Home app on your phone, which is required to manage the device. Look for the nickname of the Chromecast and tap it. Tap the gear icon for Settings. Make sure the name under Wi-Fi matches the network your PC is connected to. Now let’s cast a tab from the Google Chrome web browser. Open Chrome on your computer, and navigate to the website you want to display on your TV. Next, select the menu icon (three horizontal dots) in the upper right corner. From the drop-down menu that appears select Cast. A small window will appear in the center of the tab you’ve got open with the names of any Cast-friendly devices you have on your network such as a Chromecast or Google Home smart speaker. Before you pick your device, however, click on the downward facing arrow at the top. Now the small window says Select source. Choose Cast tab, and then select the nickname of the Chromecast. When it’s connected, the window will say Chrome Mirroring along with a volume slider and the name of the tab you’ve got open. Look up at your TV and you’ll see the tab taking up the entire screen — though usually in letterbox mode to keep the viewing ratio correct. Once a tab is casting you can navigate to a different website and it will keep displaying whatever is on that tab. To stop casting, just close the tab or click on the Chromecast icon in your browser to the right of the address bar — it’s blue. That will bring back the Chrome Mirroring window we saw earlier. Now click Stop in the lower right corner. Casting a Chrome tab is ideal for anything that’s mostly static such as vacation photos stashed in Dropbox, OneDrive, or Google Drive. It’s also good for viewing a website at a larger scale, or even for displaying a presentation PowerPoint online or Google Drive’s Presentation web app. What it doesn’t work as well for is video. Well, kind of. If you are using something that already supports casting like YouTube it will work just fine. But that’s because the Chromecast can grab YouTube directly from the Internet, and your tab becomes a remote control for YouTube on the TV. In other words, it is no longer broadcasting its tab to the Chromecast. Non-Chromecast supporting content like Vimeo and Amazon Prime Video is a little more problematic. In this case, you are streaming content directly from your browser tab to your television. To be honest, this doesn’t work well. It’s barely watchable because you have to expect short stutters and skips as part of the bargain. It’s easy for Vimeo fans to fix this. Instead of casting from a PC tab, use the service’s mobile apps for Android and iOS, which do support Chromecast. Amazon Prime Video does not currently support Chromecast; however, you can get Prime Video on your TV via a similar device to the Chromecast, Amazon’s $40 Fire TV Stick. Displaying your entire computer desktop on your TV via Chromecast is very similar to what we did with the tab. Click on the three vertical dots icon in the upper right corner and select Cast. The window will pop-up in the middle of your display again. Click the downward facing arrow and then select Cast desktop and then choose your Chromecast’s nickname from the device list. After a few seconds, your desktop will be casting. If you have a multi-monitor display set-up, Chromecast will ask you to choose the screen you want to display on the Chromecast. Choose the correct screen, click Share and then after a few seconds the correct display will appear on your TV. One issue particular to desktop casting is that when you cast your entire desktop, your computer’s audio comes along with it. If you don’t want that to happen, either turn off whatever audio is playing on your desktop — iTunes, Windows Media Player, etc. — or turn down the volume using the slider in the Chrome Mirroring window. To stop casting the desktop, click the blue Chromecast icon in your browser, and when the Chrome Mirroring window appears click Stop. Casting your desktop is very similar to casting a tab. It works well for static items like a slideshow of photos saved to your hard drive or a PowerPoint presentation. Just as with the tab, however, casting video isn’t great. If you want to play a video on your television using something saved on your TV, I’d suggest either hooking up your PC directly via HDMI or using a service built for streaming video over your home Wi-Fi network such as Plex. Not a ton of services support native casting from the PC version of the web to the Chromecast. This is because a lot of services have already built it into their mobile apps on Android and iOS and haven’t bothered with laptops and desktops. Regardless, some services do support casting from the PC notably Google’s own YouTube, videos on Facebook, and Netflix. To cast from these services, start playing a video and with the player controls you’ll see the casting icon — the outline of a display with a Wi-Fi symbol in the corner. Click that, and the small window appears once again in your browser tab, select the nickname for your Chromecast device, and the casting begins. That’s all there is to casting from your PC. It’s a quick-and-easy way to get content from your PC to your television.